Image courtesy of Gillian Hue. The AJOBN Editorial team recently returned from the 11th annual International Neuroethics Society (INS) meeting, which took place on November 9-10th in Washington, DC. The theme for the meeting was Honoring our History, Forging our Future, and it brought together scientists, philosophers, professionals, and scholars from over 10 countries to both summarize the first 15 years of the neuroethics field and to discuss our prospective future. 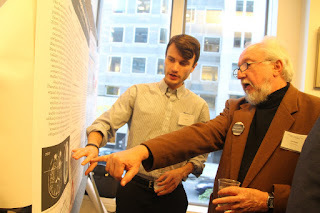 The day and a half conference included plenary lectures, a public forum, panel discussions, and a poster session, and addressed topics ranging from the development of lying in children to the neuroethical considerations that accompany the use of transcranial direct current stimulation (tDCS). In case you didn't get the chance to attend the conference this year, here is a brief summary of what you missed (a full program recap can be found here). The conference opened on Thursday afternoon with a plenary lecture delivered by Remi Quirion, the Chief Scientist of Quebec, who discussed the history of neuroethics and where he thinks the field will go moving forward. 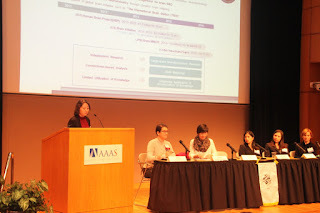 This was followed by a riveting panel discussion entitled, “Neuroscience, Communication, and Public Engagement,” which was moderated by chief executive officer of AAAS, Alan Leshner, and featured Joseph J. Fins from Weill Cornell Medical College, Tali Sharot from University College London, and Ed Yong from The Atlantic. This panel focused on the interaction between scientists and the media and incorporated discussion of the Goldwater Rule and science journalism. 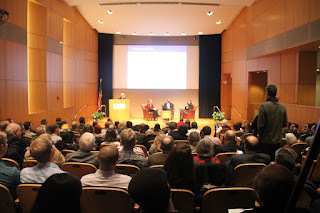 This panel was followed by the annual Ambassador Session (this year’s session was entitled, “Reflecting on our International Roots and Planning our Collaborative Futures”), where liaisons from neuroethics research efforts around the world summarized what progress in neuroethics looks like in each country. Perspectives from Korea (Jinni Jeong), The Kavli Foundation (Caroline Montojo), the US BRAIN Initiative (Khara Ramos), and the EU Human Brain Project (Arleen Salles) were represented. The session was co-moderated by Emory Center for Ethic Neuorethics Program Director Karen Rommelfanger who spoke about her work creating the Global Neuroethics Summit. The day closed out with a public program entitled, “To Tell the Truth!” This session included talks by Elizabeth Loftus from the University of California, Irvine, who spoke about the validity of our memories; Victoria Talwar from McGill University, who spoke about the development of lying in children; and Charles Dike from Yale University School of Medicine, who spoke about pathological lying. Friday morning began with a plenary lecture from Arthur Caplan of NYU School of Medicine that was a call to action for the field of neuroethics—Caplan emphasized that we should spend time discussing and engaging the neuroethical dilemmas happening now, instead of speculating about predicted dystopian futures. 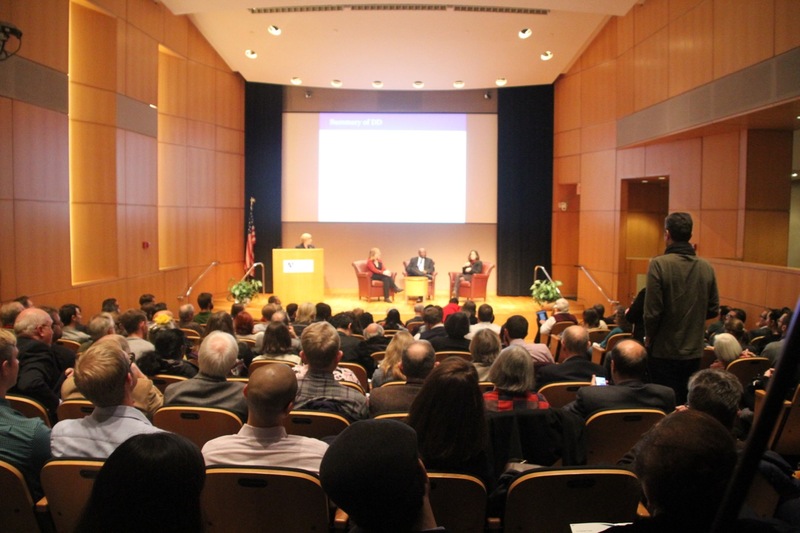 The morning continued with a panel entitled, “The Brain in Context,” which featured Moriah Thomason of Wayne State University, Martha Farah of the University of Pennsylvania, and Herve Chneiweiss of Ecole des Neurosciences de Paris. This panel emphasized the multidimensional factors that affect neurodevelopment. This was followed by a panel on addiction policymaking entitled, “Legal Responsibility, Agency, and Addiction Neuroethics: Reconciling Frameworks for Policymaking.” This panel featured Rachel Wurzman from the University of Pennsylvania Medical School; Jessica Birkett from the University of Melbourne; and Stephen J. Morse from the University of Pennsylvania Law School, who debated the claim that “addiction is a brain disease,” and discussed where to place responsibility and how to punish and/or treat addiction. After a lunch break, the afternoon continued with two concurrent sessions on neurotechnology (“Ethics of Neuroscience and Neurotechnology” with Frederic Gilbert from University of Washington, Merlin Bettlinger from Charite-Universitatsmedizin Berlin, and Anna Wexler from the University of Pennsylvania) and law (“Neuroscience of the Law” with Andreas Kuersten from the University of Pennsylvania Law School, Nicholas Sinclair-House from the University of Sussex, and Jason Kerkmans from the consulting firm, MINDSET). The conference closed out with two plenary lectures given by Karola Kreitmair from Stanford University and Patricia Churchland from the University of California, San Diego. Kreitmair enumerated seven criteria that she feels should be applied in the development of ethical consumer neurotechnologies, while Churchland discussed how neuroethics has helped us understand our social lives and moral behavior. If you missed this year's annual INS conference, don't fret. INS is already planning its next conference in San Diego in November 2018—check out neuroethicssociety.org for updates on the meeting program and registration details. We will also be posting more in-depth summaries of some of the sessions from this year’s conference in the coming weeks, so stay tuned!